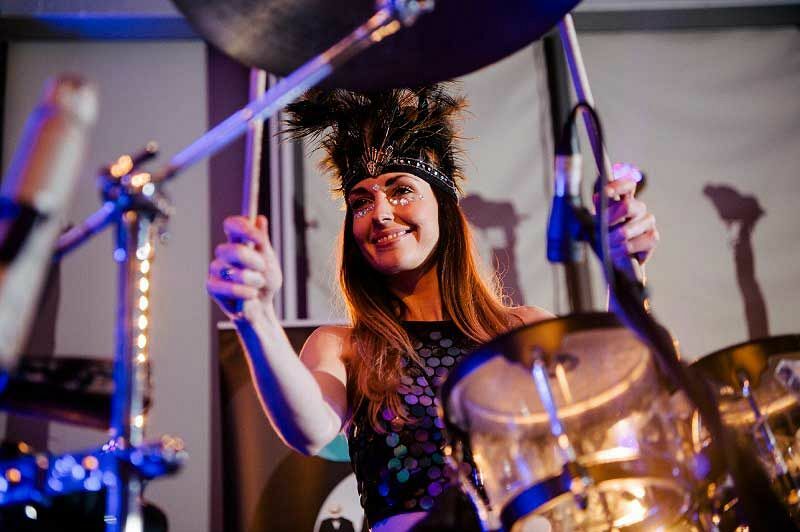 You're invited to a world famous venue in Manchester this festive season, where you'll celebrate Christmas in serious style with this exhilarating 'Work's Finished for Christmas' party night. An action packed evening awaits which promises a fantastically festive atmosphere that will ensure that everybody's relaxed and letting their hair down! 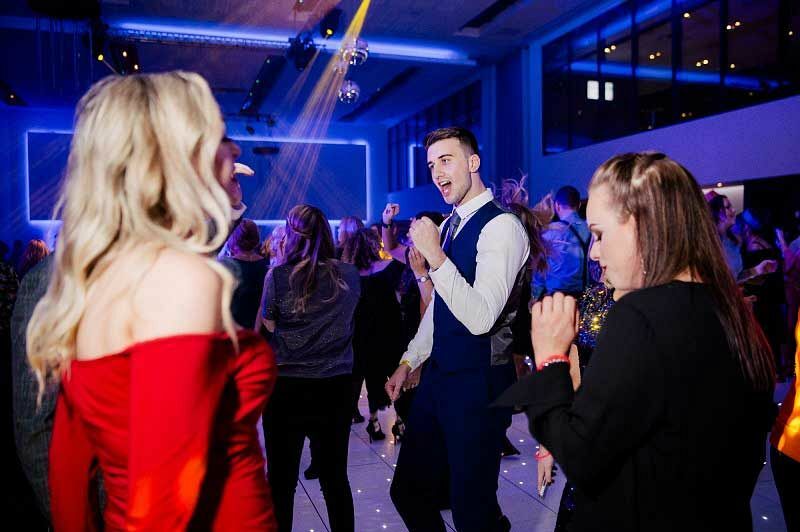 Boasting live entertainment, delicious three-course dinners, lavish settings and extra entertainment such as selfie pods and adult facepainting, there’s really isn't a better place to celebrate than at this fantastic venue! 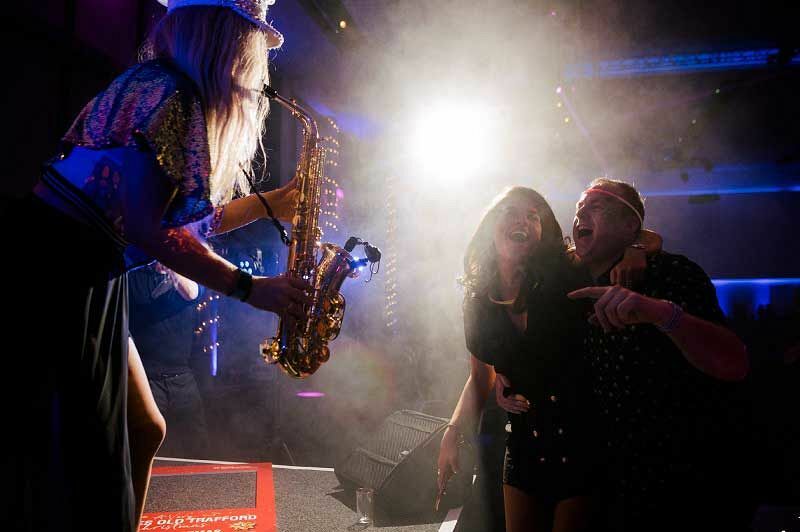 For 2019, guests will enjoy live entertainment from the phenomenal 'TDK', an energetic team of musicians who have performed at both V Festival and Glastonbury. With a mix of music from the 1960's, right up to present day, these guys will be sure to have everyone up on that dancefloor! After TDK, the fun doesn't stop, as resident DJ Paul Atkinson takes over and keeps the tunes coming for the rest of the night and into the early hours. During the night, you'll also be able to get some face painting done, before hopping into the brilliant selfie pods with your friends and colleagues and striking a pose! If you'd like to make a night of it, then why not stay at the on-site hotel and enjoy a comfortable sleep in one of the well-equipped rooms for a great rate? 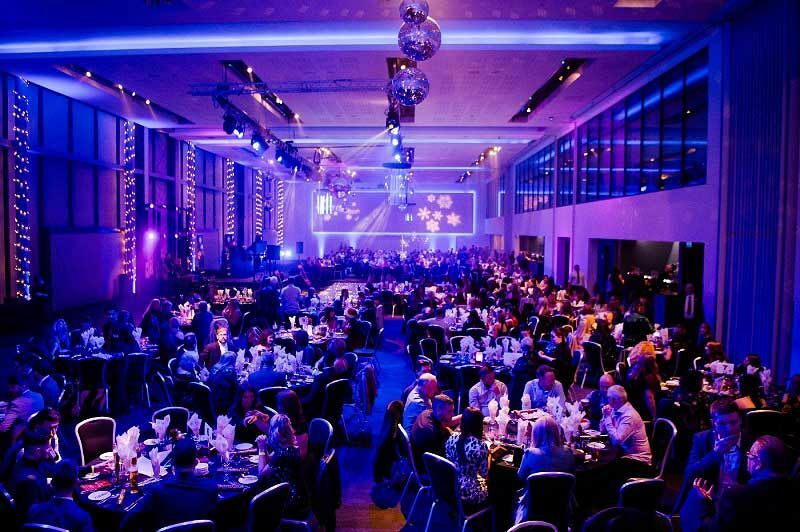 Make it a night to remember on the 20th December 2019 and round off the working year in style with this epic Christmas celebration at a top venue in Manchester! Send an enquiry through today to book your tickets for this highly anticipated event.